United Sentry Security is dedicated to client satisfaction. Our officers, managers and supervisors are screened and trained to provide the highest level of service. Our focus; reliability, rapid response, conveying a steadfast image of trust, and officers that possess a professional demeanor and individualized attention to client needs. Our services, are diverse and comprehensive. We maintain stationary posts and dispatch patrols. 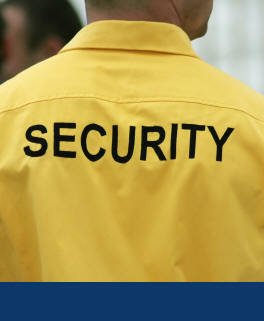 We can provide uniformed or plain clothes guards. 12030 KNOEFLER DRIVE., RIVERSIDE, CA 92505. United Sentry Security Services � All Rights Reserved.